​Whether hot or cold, sweet, sour or spicy, thin or thick, sauces have always been an important vehicle for creativity or the expression of popular savoir-faire. 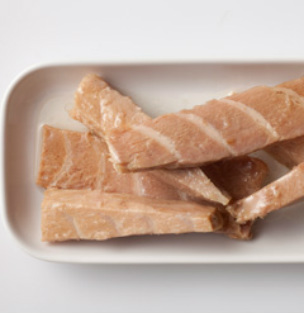 They are the ideal accompaniment for plain-cooked meat, fish or vegetables. The first sauce in history that is known to us was the very costly garum, made by soaking the flesh and entrails of different species of fish in brine. 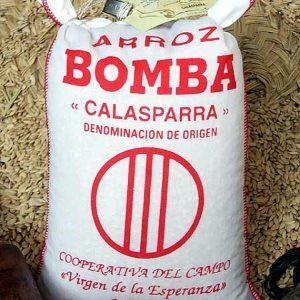 The garum made in the Spanish town of Gadir (now Cádiz, in Andalucía), which was famed for its salt fish, was a favorite with the most refined of gastronomes in Ancient Rome. 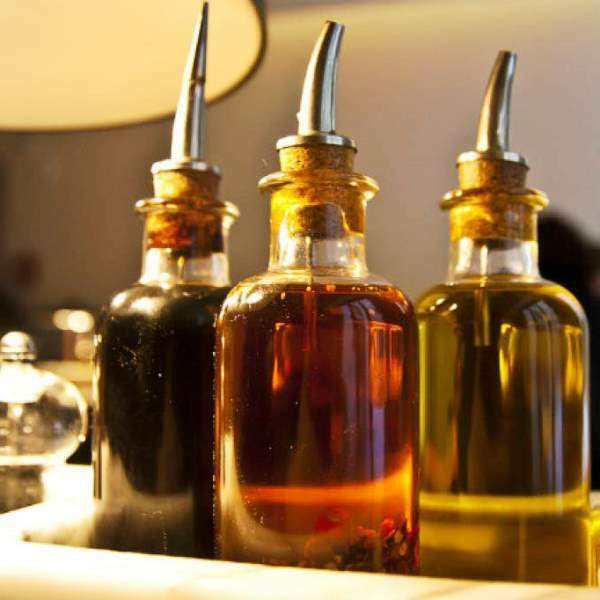 The recipe book by Marcus Gavius Apicius gives a very complex sauce to accompany wild boar made with pepper, onion, oregano and coriander in a mixture of garum, honey, oil and wine. ​Spaniards are great fish-eaters, second only to the Japanese who are the world's leading consumers of fish. This taste for fish and seafood has developed out of a number of different factors - geographical, historical, cultural, and even religious. 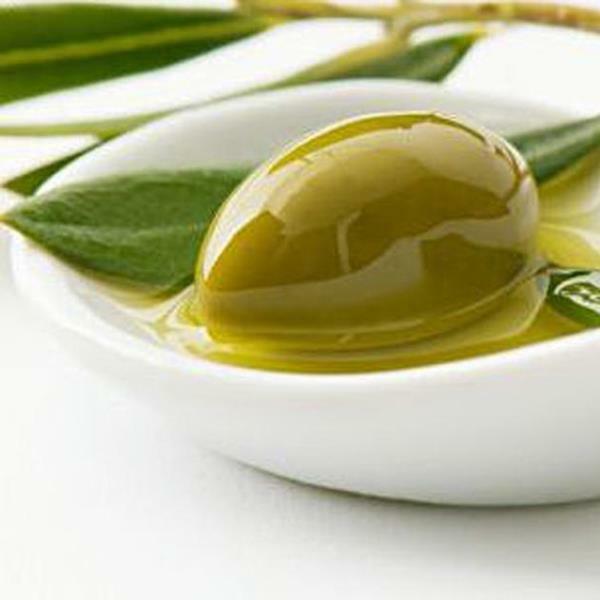 The Mediterranean peoples have always known how to utilize the food offered by the sea. Fresh and preserved fish and shellfish were not only an important source of proteins for the Phoenicians, Greeks and Romans, but also figured large in their intense trading activities. Until the discovery of canning, drying in the sun and salting were the most frequent methods of preserving fish. The first salting plants were set up in Spain by the Phoenicians. Before the discovery of preserves, the main methods used in Spain were salting, immersion in animal fat or olive oil, and pickling, giving rise to some of the jewels of Spanish gastronomy such as cured ham, pickle sauce (escabeche) and salt fish. 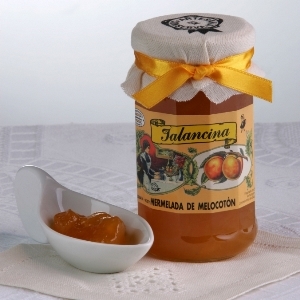 Some traditional Spanish pâtés are also sold as preserves. One such is morteruelo from Cuenca (Castile-La Mancha), made from pig's liver cooked with hare, partridge, rabbit, ham, pig's liver, spices and rustic bread and crushed to form a paste. 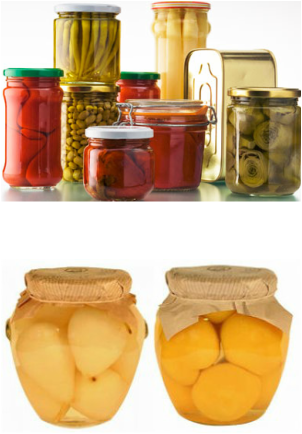 ​Food preservation is now a well-developed sector in Spain and one that enjoys great prestige. 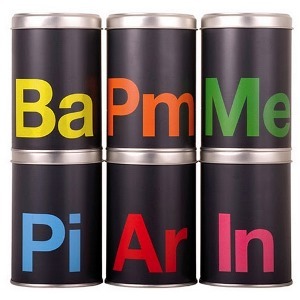 Canned products of all types are enormously popular and many are considered gourmet class. Spaniards preserve a wide range of products in cans and glass jars, often using nothing but the best for this purpose, such as prime vegetables, pulses and fruits picked from Spain’s excellent market gardens and orchards. 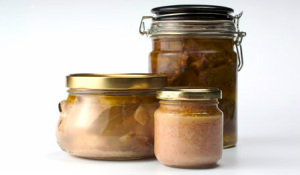 Murcia, on the south-east coast of Spain and the Ebro valley in the north and north-east share the leading position as producers of vegetable preserves, with peppers, asparagus, artichokes and pulses being the most important. A special case amongst vegetable preserves are the famous Piquillo de Lodosa peppers. These are almost inedible when fresh but, after roasting, hand peeling and canning, they become an outstanding delicacy with a silky texture and complex flavor - sweet, fragrant and just slightly hot. Spain's varied climate and landscape also allow for the cultivation of many fruits so, unsurprisingly, Spain is one of Europe's main producers of canned fruit such as pears, peaches, figs, cherries and chestnuts. Spanish almonds are of outstanding quality because of their high oil content which makes them moister and more flavorsome. They are the basic ingredient for Turrón, Marzipan and other sweets, as Peladillas -almonds protected by a hard white sugar coating- and Garrapiñadas - almonds coated with caramelized sugar. Hazelnuts are used in certain traditional Spanish sauces, such as the Romesco. Walnuts are usually eaten raw, as a snack or dessert, either alone or in combination with other foods. 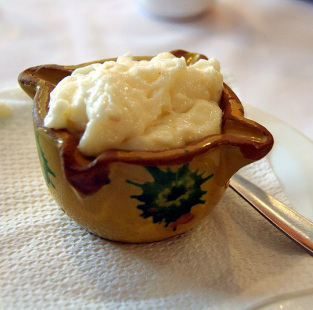 A very popular dessert in Spain, one that is both simple and nutritious, is cheese with honey and walnuts. Pine nuts are an essential ingredient of traditional Spanish pastries such as Panellets (Empiñonados). These are balls of marzipan coated with pine nuts and are a frequent dessert in Spain at Christmas time, alongside Turrón and other almond-based candies. In Castilla-Leon, Pine nuts are a characteristic ingredient of cured pork sausages and blood sausages. The annual appearance of roasted chestnut stalls in the squares and streets of Spain announces the arrival of winter. The crop is used to make flour, creams, jams and the famous marrons glacés, peeled, cooked chestnuts that are soaked in syrup then glazed. The fig is a traditional fruit crop throughout the Mediterranean, and Spain is one of the world's main producer countries. Spanish figs are of exceptionally high quality, with a thin skin, small seeds and a high sugar content. Although very perishable, the fruits can be dried, thus extending the period of consumption. In Spain, the Claudia plum with its very fine, juicy, sweet flesh is consumed either fresh or in the form of prunes. Amongst ancient Mediterranean peoples, honey and dried fruits such as raisins, dates and figs were the main sources of sweet flavors. Then the widespread introduction of cane sugar in the 16th century increased the liking for things sweet. Today, as in ancient times, honey continues to be as popular as ever and is used, sometimes together with dried fruits, in a huge range of desserts and confections, the main one in Spain being the traditional Turrón and Marzipan. 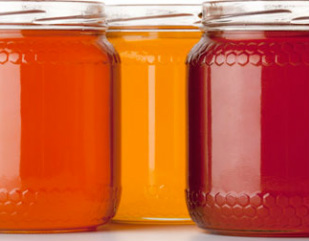 Honey is tremendously varied, as its flavour, colour, appearance and nutritional value can vary from one hive to another. In Spain there are polyfloral honeys when the nectar comes from different sources, and monofloral honeys, from a single plant species. ​The first cocoa beans were brought to Europe by Christopher Columbus who presented them to the Spanish King and Queen, Ferdinand and Isabella. Since then the Spanish have excelled as chocolatiers and are represented at the Spanish Shop Online by Amatller (established in 1797), Simon Coll (1840), Valor (1881) and Pancracio (2003). A feature of these companies’ products is their beautiful wrapping and packaging. Amatller, for example, have re-introduced their packaging from the early 1900s. 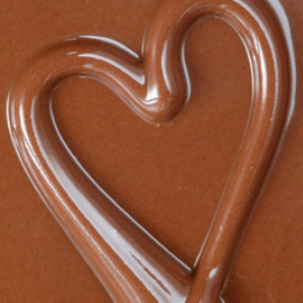 In Spain, chocolate is produced today both industrially and on a small, artisan scale. The variety is enormous - chocolate bars and couvertures, powders to make the traditional hot or cold drinks, black, white and milk chocolate and endless types of candy, characterized by great creativity and imaginative presentations. Jijona and Alicante turrón is made from honey, sugar, roast almonds and egg whites, following recipes that are over 500 years old. The almonds used are generally of the native Marcona variety, considered one of the best in the world. 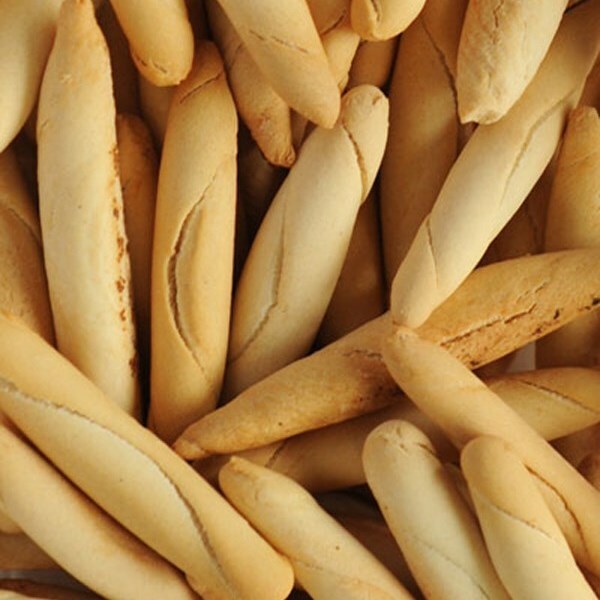 They are smooth, moist, and flavorsome and are widely used in patisserie. 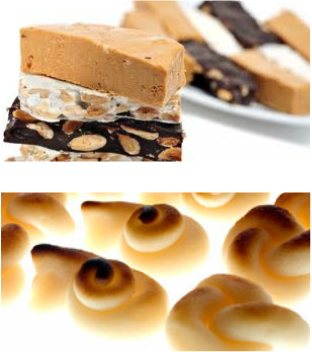 Try some Spanish typical Christmas sweets as Turrón (Nougat) Jijona (soft) and Alicante (hard), under the Spanish Protected Geographical Indication (PGI) Jijona y Turrón de Alicante, which guarantees the product quality and the use of nothing but the best ingredients or "Guirlache", made with toasted almonds pressed with melted sugar. You may also would like to taste some Marzipan de Toledo, Polvorones and Mantecados from Estepa (Sevilla), the traditional Galician "Tarta de Santiago", a sweet tart made using the basic ingredients of almonds, sugar and egg, or some candied fruits. Passionate about Spanish Food? Show it!